While Prime Minister Viktor Orbán is still in full campaign mode, touring factories in small-town Hungary and taking photographs or sharing snacks with factory workers in a manner, which some have noted bears a striking resemblance to the “peaceful” days of the Kádár regime, the Hungarian opposition is yet again embroiled in in-fighting. All smiles. 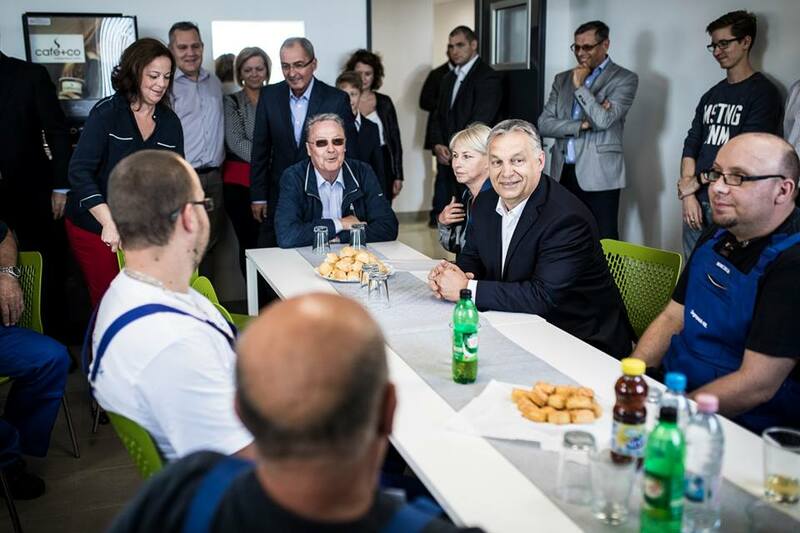 Viktor Orbán shares some pogácsa and pop with factory workers. (Photo: Viktor Orbán – Facebook). 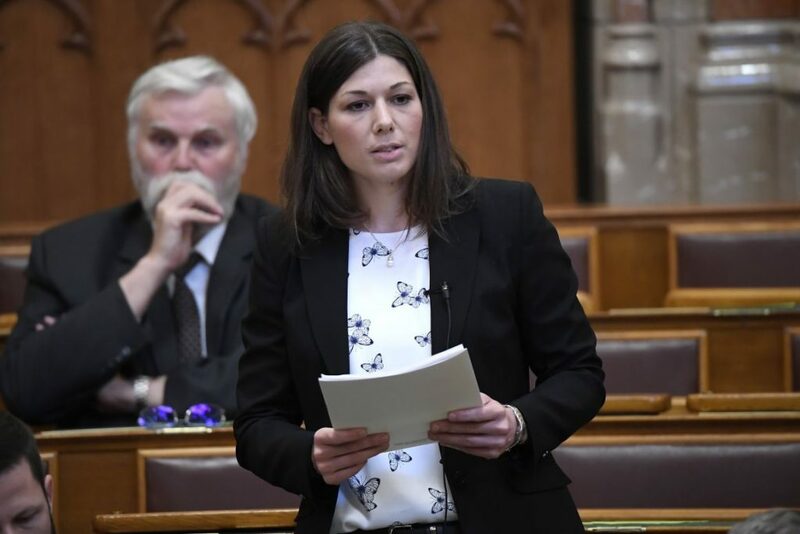 This time, the fledgling Párbeszéd faction in parliament is on the verge of collapse, because liberal politician Anett Bősz has decided to sit as a independent. At the same time, the Hungarian Socialist Party is arguing internally about whether the party should change name and logo (Tibor Szanyi floated this) and Jobbik is on the verge of splitting, with the Vona-type moderates on one side and radicals aligned with László Toroczkai on the other. Ms. Bősz is affiliated with Gábor Fodor’s tiny Liberal Party, but as part of their election agreement, they received a spot on the MSZP-Párbeszéd national list, guaranteeing that the party with less than 1% support according to the polls would have one member in parliament. After the election, MSZP and Párbeszéd decided to form two separate factions, but agreed to work as an alliance, following the same format used by Fidesz and the Christian Democratic People’s Party. This is a way to maximize party funding and clout. Ms. Bősz decided to join Párbeszéd, being the fifth member of this faction–and five members is the minimum to have a faction in the first place and not just sit as independent MPs. With Ms. Bősz’s confirmed departure, Párbeszéd may now lose its faction, as well as money and the limited clout that it has in parliament. The rationale for Ms. Bősz’s departure is that Párbeszéd, as it turns out, is not sufficiently liberal. In Hungary, “liberal” traditionally refers to classical economic liberalism, rather than the socially and economically left-wing politics that one associates with this term in the U.S. and to a lesser extent in Canada as well. Why Ms. Bősz thought that Párbeszéd would ever really morph into a classical liberal party is incomprehensible to me. Párbeszéd has its roots in the “new left”–and on economic issues it has always been to the left of the Socialist Party. 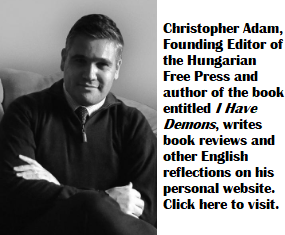 It is critical of capitalism, has a strong social justice orientation, it embraces a type of Hungarian patriotism that makes many “classical liberals” in Hungary somewhat uncomfortable and is strongly critical of the pre-2010 Socialist-Free Democratic coalition. None of this should have come as a surprise. Párbeszéd will lose both 135 million forints in funding, as well as many opportunities for their MPs to speak in Parliament. While Ms. Bősz claims that ideological grounds explain her decision to leave the faction, others argue that Mr. Fodor and his liberals are upset because they were promised 60 million forints per year in funding for their electoral alliance with MSZP-Párbeszéd, but that the Socialists are not eager to honour this agreement. Whatever the reason, Hungarian opposition politicians seem intent to solidify the impression that many Hungarians already have of them: that they are too occupied with themselves and their own personal survival to actually do grassroots work, go out into the community and build their network. Meanwhile, Mr. Orbán will continue visiting factories, posing with workers and bringing back memories of the “happy” Kádár year–memories that a surprisingly large number of Hungarians cherish and of which Mr. Orbán is acutely aware. You know what? Beyond their own tiny little shells of party organisations, nobody cares what the opposition gets up to- we are moving into serious Life of Brian territory with the Hungarian equivalents of People’s Front of Judea, Judean People’s Front, Liberation front of Judea etc vying to grab whatever miniscule morsels The Dear Leader tosses them from the dining table. More disturbing is the mind-numbing cloud of apathy which has descended over the real democratic opposition (ie the people prepared to demonstrate on the streets as opposed to those claiming the maximum expenses in the parliament). The human rights foundations, along with the media independence and anti-corruption organisations will be to all intents and purposes closed down by the Stop Soros Law. OSF has already left, the CEU will do shortly. The EPP have basically given Orban a carte blanche to close down all opposition. The EU has been proven to be a toothless, mangy tiger in its attempt to ensure basic democratic norms are maintained in Hungary (and Poland and Croatia). Anyone got any grounds for optimism?